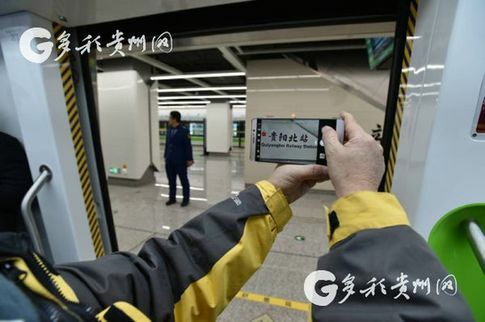 The first phase of Metro Line 1, running from Xiamai West Station to Guiyang North Railway Station in Guiyang, capital city of Guizhou province, had a trial run on Dec 28. Each station of the line has four entrances or exits, equipped with five ticket vending machines. Passengers without cash can buy tickets via Alipay or WeChat Pay. Next to the security checkpoint is a service center, where passengers can break big bills into small change and ask any subway-related questions. 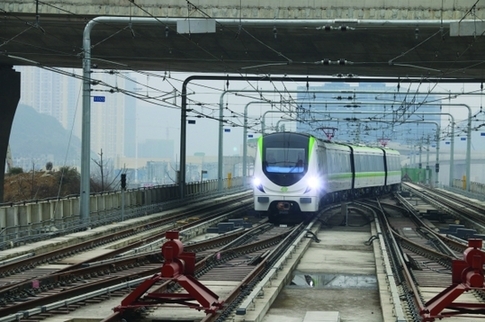 Colored white and green, Guiyang line 1 metro trains will all have six carriages. 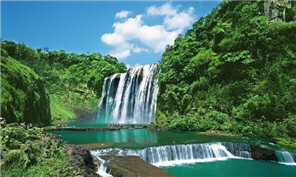 Each carriage will be 2.8 meters wide, 3.8 meters high and 19.8 meters long. The trains will be able to carry thousands of passengers at speeds up to 80 kilometers per hour. 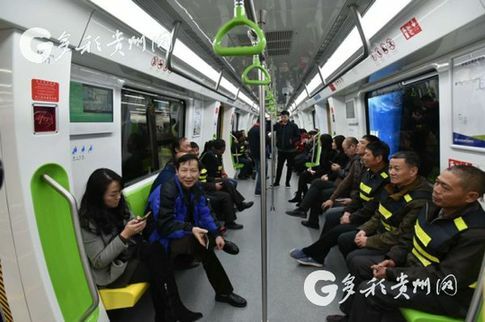 To ensure comfort and safety, Guiyang subway will provide 1.7-meter-tall handles and plenty of hand-rings, clear screens and even electric heaters under the seats. Tests for the trial run show that Guiyang North Railway Station is only 26 minutes away from Xiamai West Station. Buses need more than an hour to cover the same distance. "We will improve the services and hope to open to the public as soon as possible," said Meng Youxin, a manager of Guiyang Urban Rail Transit Co Ltd.
Line 1 is the first metro line for Guiyang urban rail transit. Line 2 is under construction and lines 3 and 4 are being planned and designed.